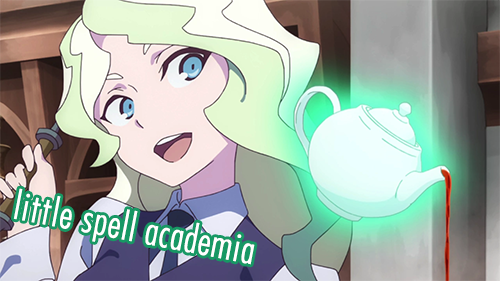 Diana is a very good student, dedicated to learn as many spells as she can to bring glory to the Cavendish family. Let's help her spell some spells! It's a spelling choices game! Every week a new word will be posted and you can take as many choice character cards as there are letters. Post your claims in a comment! The card names don't have to start with the the letter, it just has to be present in the deckname. There will sometimes be an extra rule limiting your choices. Unless extra rules state otherwise you can not take special cards but you can take more than one card from one deck. Since the prizes for this game are all choice cards and there's no need to pass them out, you can just log them after posting your comment! This round closes on Sunday, April 28th! This round closes on Sunday, April 21st! CLOSED NOW! This round closes on Sunday, April 14th! CLOSED NOW! Extra rule: no rules, it's Raven and my anniversary today! This round closes on Sunday, March 24th CLOSED NOW! This round closes on Sunday, March 17th! CLOSED NOW! This round closes on Sunday, March 10th! CLOSED NOW! This round closes on Monday, March 4th! This round closes on Sunday, February 24th! CLOSED NOW! This round closes on Monday, February 18th! This round closes on Sunday, February 10th! CLOSED NOW! This round closes on Sunday, January 27th! CLOSED NOW! This round closes on Sunday, January 20th! CLOSED NOW! I am back with my games! This round closes on Sunday, January 13th! CLOSED NOW! This round closes on Sunday, January 6th! CLOSED NOW! double since no round last week! This round closes on Sunday, December 9th! CLOSED NOW! Extra rule: no more than two cards per deck! This round closes on Sunday, November 25th! This round closes on Monday, November 19th! Extra rule: cold colored decks only! This round closes on Sunday, November 11th! CLOSED NOW! Extra rule: warm colored decks only! This round closes on Sunday, November 4th! CLOSED NOW! This round closes on Sunday, October 28th! CLOSED NOW!